New year, new you! Or something like that, right? The start of a new year can sometimes bring out the itch to try something new. 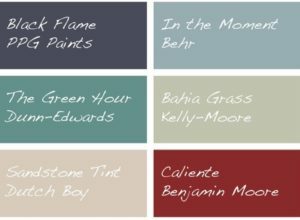 What better way to kickstart this new season than with the hottest colors of the year on your walls! 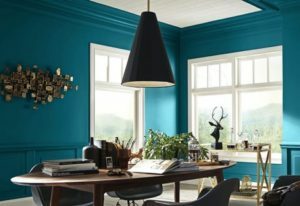 According to Houzz.com, these colors are the key to giving your home that 2018 facelift. While this array of colors and hues has much diversity, all are able to be decorated with ease. Hopefully one will catch your eye and make its way onto the walls of your home! 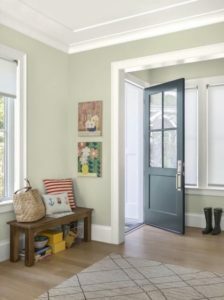 This crossover has a beautiful blue-green tone that is great for any type of room. Using a bright white as an accent is a great way to balance out this color and keep it looking fresh and light. This color favors more blue than green. It is perfect for any area of a home that desires a peaceful, cool tone such as an office or bedroom. With it’s darker tone, this color is perfect to feature as an accent on one wall. This will help add contrast to the room. This color looks like a mix of dark blue, purple, and black. Depending on which kind of lighting you use and how much there is, the shade it shows may vary. 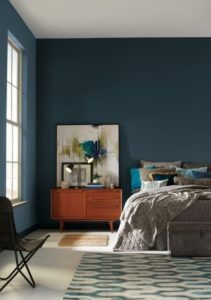 Because of the depth of this color, it would be ideal to use on one wall to highlight something such as artwork, photography, or a headboard. The color speaks for itself so too much going on may seem overwhelming. This beautiful color is so light and airy that it is perfect for those who want more of a neutral tone. It would be a wonderful addition to a kitchen, dining room, living room, bathroom, ect. 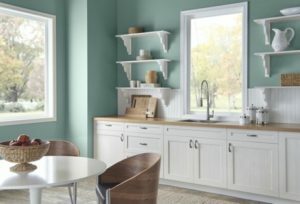 Due to its soft tone, this color is ideal for spaces that don’t receive ample amounts of natural light. The theme of this year seems to be a mash-up of blue and green. Which is what this lovely color seems to be a perfect combination of. 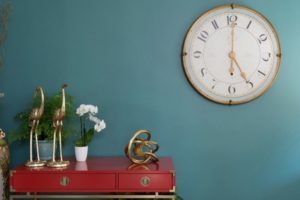 The Green Hour is not too light and not too dark, making it the perfect “happy medium” shade. This color would look great in a bedroom, office, bathroom, or entertainment area. It will give any room a more sophisticated feel. For those who love a good neutral tone that doesn’t go out of the comfort zone, but also isn’t boring, this color is ideal! Bahia Grass takes neutral and gives it a touch of color. This beautiful sage toned color provides an easy canvas for decorating, but also adds a warmth that keeps the walls from feeling too bland. Want to go totally neutral? This color is a great place to start. Some tend to shy away from the “beige” word because it sounds boring and traditional. This color has a gray shading that tones down the pink hue to create a more fresh color. This allows for more imagination with colors and texture in furniture, fabrics, and arts. Daring to be more bold this year? 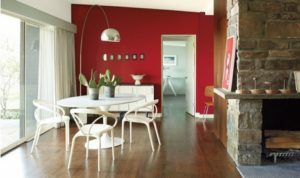 This true red is the perfect way to add a dramatic feel to a room. It would be perfect as an accent wall in room that receives lots of natural light to allow this beautiful color to show off all of its wonderful features. It would even make a charming statement on a front door! 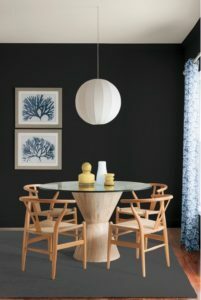 This nearly black color brings some incredibly serious tone to a room. 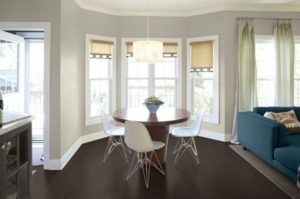 If covering all the walls, this mystical dark color is great to be used in a place that doesn’t see much natural light. This creates a more intimate and serene setting. If only being used on one wall, adding some colorful art pieces will aid in bringing the darkness to life. A marvelous black shade is often looked over for fear of being too dark on interior walls. Unless you’re a 15 year old going through a “phase”, this may not be a first pick for the bedroom walls. 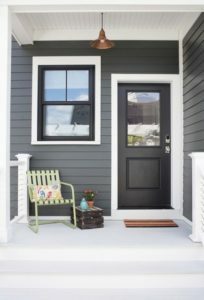 Instead maybe give this color a shot on exterior surfaces like this front door. It could also be used on window trimming or even shutters. For more helpful information, check out our Resources tab on our website!